5th Annual Easter Dinner Baskets for local families in need! 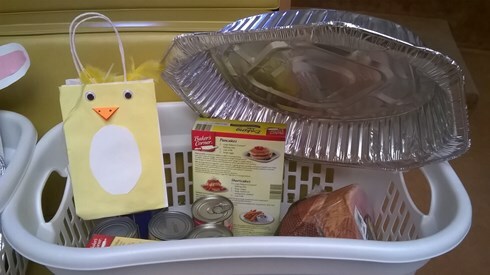 With Easter being so early this year, preparation for our 5th annual Easter Dinner Basket Distribution was fast and furious, but we were still able to have another successful distribution event. Between the collecting, the shopping, the assembling, and the organizing everything was done in a short amount of time! In the end we were able to distribute of 30 Easter Dinner Baskets to local families in need. We want to send a special Thank You to the children of the Lakewood Boy's & Girls Club who spent and evening crafting very Easter-esk goodie bags for each of our baskets. Thank you to each of our club members who made a contribution and those who did all the shopping and organizing. Last but not least we want to thank all those who support us at our various events whose contributions make stuff like this possible!! Check out all the pictures in our 2016 Easter Dinner Album.